concerned. That’s because moving containers are extremely convenient and sometimes all your belongings can be fitted into one big container itself. Read the below mentioned points to know how you can use a moving container for your own good. 1. 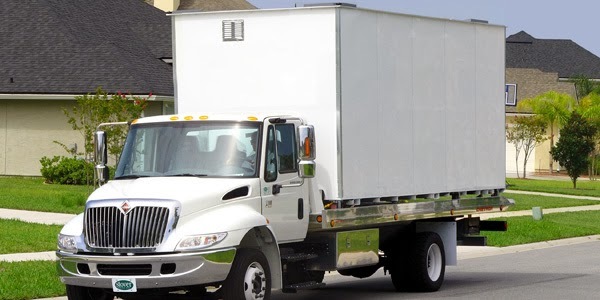 You don’t have to store anything in a truck – All your belongings can be fit into a large unit that the company drops at your place prior to your shifting. Sometimes you may require two containers especially if you have many things to store. After you load the goods, make sure you lock the container properly to avoid theft or any other issue. 2. See if you wish to have a storage option – Often, the mobile container company will shift your goods and drop them in a storage unit if you want it that way. Otherwise they are ported to your new home. 3. Check out the company’s security policy – Before you hire any mobile storage company, make sure that they provide tight security. You need to ensure that your goods are safe and are transported properly to the required destination. 4. Calculate the time required to unpack all the stuff – The entire cost will be fixed depending on how long you have the container with you. Therefore you have to tell them the required time beforehand so that they can prepare a rough estimate of the cost. Prices are decided on the basis of the amount of goods that have been ported to the desired location too. Keep the above things in mind before you use a mobile container for shifting purposes.